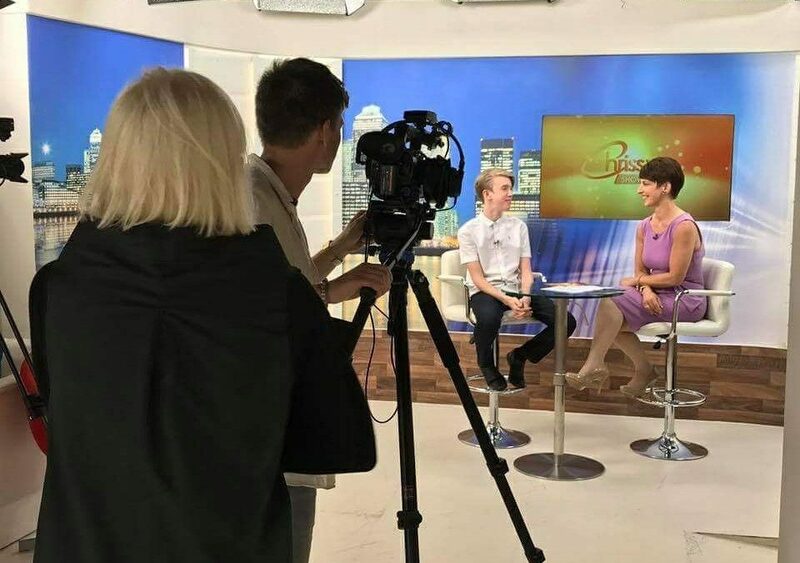 Anna Kennedy about her latest work with the Autism community and about the Anna Kennedy Online charity – this part starts just after 39 minutes in. The Chrissy B Show airs on SKY 203 every Monday, Wednesday and Friday at 10pm in our cosy living room studio in the heart of London. A wonderful experience and spoilt for choice a terminally ill father Gavin Bailey was left with a decision every super-car fan could only dream about – a powerful line up of rare cars from Ferrari, Aston Martin, Lamborghini, Porsche and Jaguar were all on offer for the day. Gavin, who was given just three to six months to live in October after being diagnosed with Glioblastoma multiforme an aggressive cancer of the brain – chose the Aston to sit in first, before being taken for his first spin in the green Lamborghini. Gavin said “I can’t believe it its just amazing how lucky I am. “I only thought there would be one or two cars here. They are all incredible.” The day was organised by Charity Today’s Lee Rayment at #Peterborough Football FC car park. Lee Rayment and Anna Kennedy OBE spread the word across social media and the response was amazing . Cars were being offered for days and super car owners from across the land came forward to help put a smile on Gavin’s face. Anna Kennedy OBE Patron of #UKCharityWeek and Lee Rayment @UKCharityToday Editor would like to take the opportunity on behalf of the family to thank everyone for their support and help in making this happen. Both Anna and Lee linked with Paul Wallace on Twitter , who runs Youtube channel Supercars of #London, helped organise many of the supercar owners to bring their cars for Gavin – including his own Jaguar. Paul said: “I got tagged in a tweet, and saw the story, and thought I could help and I felt I needed to get involved, so Paul contacted Lamborghini and Ferrari, but their cars were all hired out over Christmas, but my audience started to get in touch. Chrissy speaks Anna Kennedy about her latest work with the Autism community, along with Charity Champion Mala Thapar about cultural challenges and Autism, an extraordinary and special performance by Marie Gorton a beautiful rendition of that age old Christmas carol, Silent Night. This part starts just after 15 minutes in. 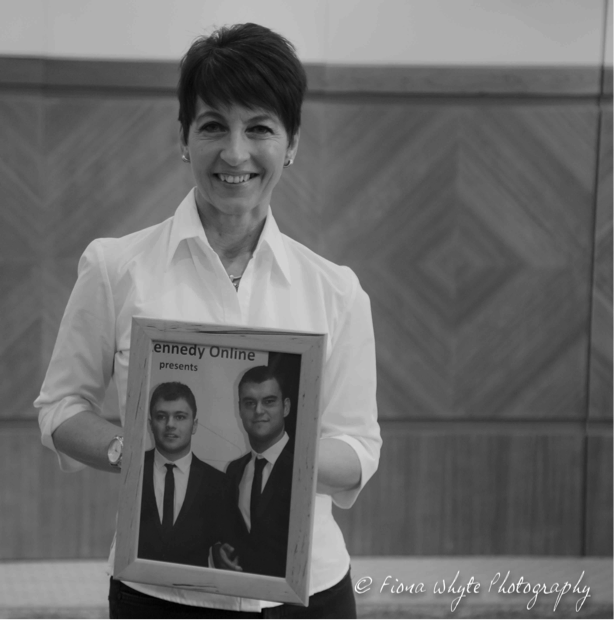 Anna Kennedy OBE has two sons with autism and is Founder of UK Autism Charity Anna Kennedy Online. Anna Kennedy says raising autistic children can be physically and mentally demanding no matter how much you love them. My son, Angelo, was diagnosed with Autism and a severe sensory processing condition and nocturnal epilepsy at the age of three. I later discovered my older son, Patrick, had Aspergers Syndrome. He’d actually been diagnosed three years earlier but the consultant paediatrician hadn’t told us. We didn’t find out until we went to a meeting at school about his school refusal , when he was seven. They said: ‘Why didn’t you tell us Patrick has a diagnosis of Aspergers Syndrome?’ I said: ‘Because I’ve only just found out.’ I felt a rush of blood to my head. Patrick had been having difficulties at school; he wouldn’t go into the classroom and he would get very anxious and angry. He’d ask: ‘What does bird brain mean?’, which is what the other children would call him. At the time, in the 1990s, I was told my sons were unique and there was no one else in the area in the same situation.It made me feel isolated. You look for someone to blame but there isn’t anyone. You still have the same kids but no one sits down and tells you what ‘autism’ means. The only thing I thought about was the film Rain Man. You discover they have problems with social interaction and imagination. When we’d buy gifts for Patrick, he’d inspect them closely to make sure they were perfect. He’d be very unhappy if even a dot of paint was out of place. He has always been hungry for information and loved reading dictionaries . He’d memorised the alphabet by two and knew 50 Thomas The Tank Engine stories off-by-heart. He found it difficult to play with children – he’d stroke their faces or ask them lots of questions. As they rejected him, he started saying: ‘Human beings are horrible,’ that he preferred animals and he became really angry. Both my boys were out of mainstream education for three years and only receiving five hours of home tuition a day. It was very frustrating.One teaching assistant had never worked with children with autism and by the third day she was crying, saying she didn’t know what to do with Angelo. I’d read lots of books saying early intervention is crucial,yet people are left to deal with it themselves until it reaches crisis point. As much as you love your children, it can be physically and mentally demanding. In 1999 we found an empty school in our area that was going to be turned into flats. We decided to set up our own school for children with autism.We raised £627,000 to refurbish it in 18 months. I asked for help in the local paper and got it – there were so many families who’d been affected by autism who wanted to help. We opened in 1999 with 19 children. My two children were the last two to be funded – we thought they might not get in. The school now has 180 pupils who travel in from 17 local authorities and we have opened another school in Kent. Patrick’s now 27 and works part time at a garage and attends college 3 days a week. Creative Arts and Media has opened a new world for him and he is doing really well. Angelo is 24 and at the Vocational College we set up working daily on his independent living skills. He still has a poor sleep pattern and only today he went to bed at 5 am . I find this mentally draining. Yesterday I watched ‘Employable me’ which is a programme that highlights difficulties autistic adults have of securing empolyment. Everyone deserves a job no matter what their disability. Its quite clear the legal framework around disability and employment that exists would work well if it was applied. The problem is it is not applied usually through the lack of awareness. When autistic individuals reach their late teens or early twenties, you have to be vigilant – their behaviour is often misinterpreted and they can get into difficulties and even can be arrested or sectioned. Of course, I’m worried about the future for my sons –that’s why I’ve done everything I can to try and give them the best education and support to help them become as independent as possible. There’s more awareness now than when my children were diagnosed but it’s still not well understood among wider society. Some children can cope in mainstream school,colleges and the work place others just can’t. If small reasonable adjustments are made to adapt their environment this can make a huge difference to the individual. Some children need day-to-day support and will need it for the rest of their lives. They don’t have a sense of danger. Angelo always keeps me on my toes and has no sense of danger and once he ended up sitting on next door’s chimney because he likes heights – he sees no danger in that. I am of the opinion I am never going to retire. I’ve achieved things I never thought I’d achieve and I’m driven by the love I have for my sons. I’ll never give up or give in and I want to create as many opportunities as I can to help as many children and adults with autism as I can because I remember how isolated I felt when my children were first diagnosed. 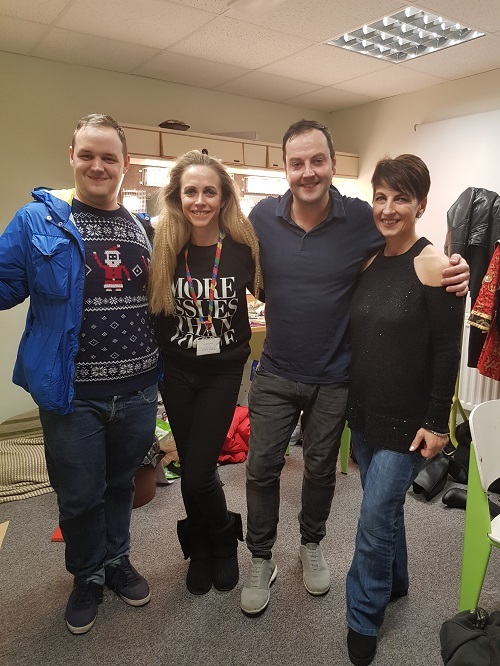 On Wednesday 19th December – the first relaxed performance of Aladdin took place at Towngate Theatre Basildon and was a huge success. 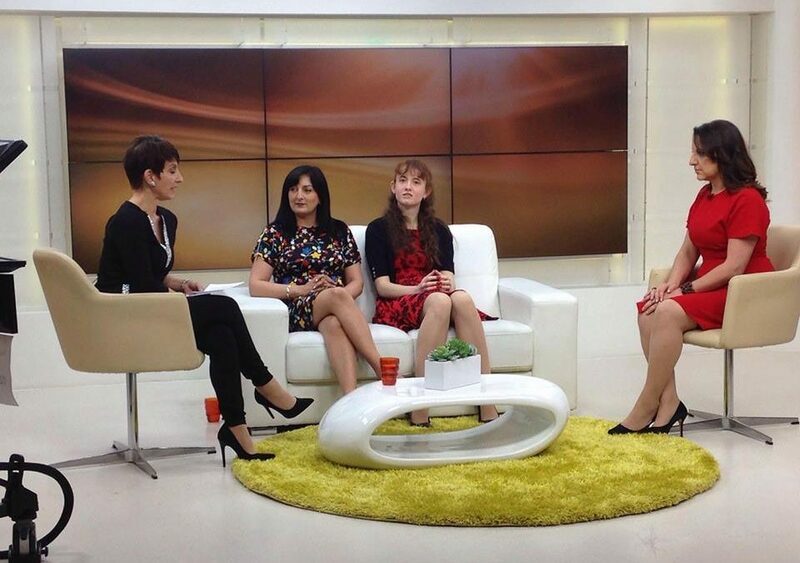 Earlier this year in October, UK Autism Charity Anna Kennedy Online hosted the legendary show Autism’s Got Talent together with the Avery family, who are the Charity Champions of Essex. 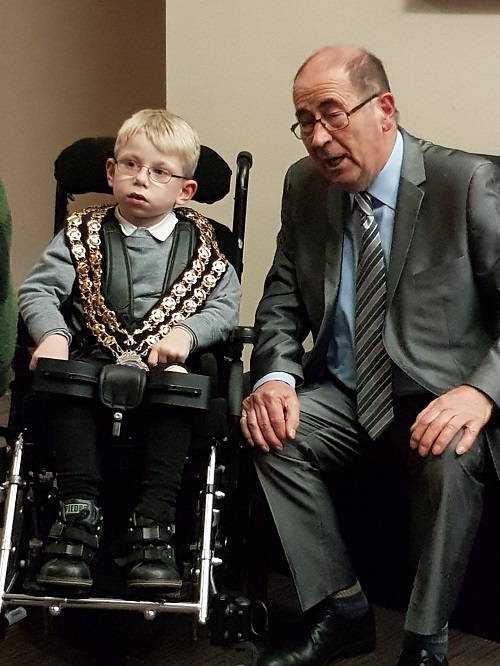 Together with founder Anna Kennedy OBE and the Avery family have been working with the Theatre to work together to ensure that reasonable adjustments were made. Aston Every Autism Ambassador for the charity, the Mayor of Basildon and Anna spoke to a couple of the performers behind stage after the show to thank them for giving families such a wonderful time. Performers shared ‘ It was a special experience for them since the house lights being on they could see the children’s expression and excitement. Two performers Simon Fielding and Sophie Ladds were outstanding and the theatre have indicated that the relaxed performance will happen again next year. “Many aspects of a standard theatre experience can cause difficulties for autistic people. Busy foyers, unexpected music, lights going up and down, pyrotechnics and applause can all be unsettling for some children and adults. Even the interval can confuse individuals on the spectrum because it seems strange to leave the auditorium in the middle of an event. During a relaxed performance, the house lights will often stay on during the show and families will be warned when to expect loud noises. For anyone overwhelmed during the performance, a “chill out” area will be provided.